The 2018 election season seemed like a real letdown for people concerned for the sanctity of life in Illinois. First, Jeanne Ives narrowly lost to Bruce Rauner in the gubernatorial primary after millions of dollars was spent in misleading advertising against her. Then, we lost the representation of some great state representatives (like Peter Breen), giving a super majority to Mike Madigan and the Democrat Party, which vows to remove any and all restrictions on abortion, while advancing a culture of death. How did we get here? The abortion industry (led by Personal PAC – Planned Parenthood’s political arm) spent hundreds of thousands of dollars in helping to defeat pro-life candidates like Peter Breen and others with misleading and false ads. The Republican Party, unfortunately, let the attacks go unanswered, not running any ads defending the pro-life position, let alone going on the attack to point out the extreme position of the pro-abortion candidates; hence, allowing Personal PAC to dictate the narrative on the abortion issue. It doesn’t work to allow the abortion industry to define the narrative. We cannot sit back and let the abortion lobby tell the only story of abortion in important elections. Sitting back and being politically silent on such an important issue, central to most elections these days, is irresponsible. It’s the most important moral issue of our age! Just how we proclaim the story of the birth of Christ from the hilltops, so must we proclaim the sanctity of all human life. It’s simply a winning message! This is why the ICE-PAC board has decided to invest even more in campaigning and lobbying. We already started by spending more funds in 2018 than in any other year on pro-life outreach and advertising to support our endorsed candidates. Over $30,000! We then hired a full-time executive director (David Avignone) to drive our mission forward. David has eight years of campaign experience, seven years of fundraising experience, and nineteen years experience in non-profit and for-profit management combined. We’re growing and becoming more relevant every year! We’re enthusiastic about ICE-PAC’s future, so we have a lofty goal for our supporters this Christmas Season! Help us reach $25,000 with a truly sacrificial gift this Christmas season, ending on January 13, 2019 when we celebrate Christ’s Baptism and when we March for Life in Chicago. Whether $50 or $5,000, Your sacrificial gift this Christmas to support our mission is needed and will be appreciated…and it will be effective! PS. 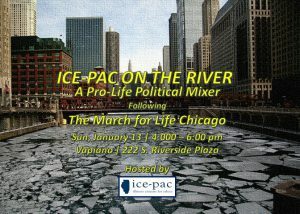 Join us at our event following the March for Life Chicago. Click HERE for more information. State Representative Peter Breen has served the residents of the 48th District with distinction for the past four years. His low-tax, pro-life views are representative of the majority of his constituents. His opponent, Terra Costa Howard, is pro-high-taxes and supports taxpayer-funded abortion. In exchange, Ms. Howard has received over $600,000 of support from forces aligned with Democrat House Speaker Mike Madigan and pro-abortion groups. Much of that money has gone to attack Representative Breen. Over the weekend, a flier created and paid for by ICE-PAC and several pro-life groups was distributed in the 48th District to counter the false attacks on Representative Breen. 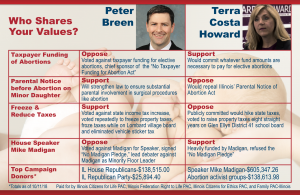 The flier, which can be viewed below, contrasts Breen’s views on the issues with Howard’s and were distributed at multiple locations, including Catholic and other churches and houses or worship. The feedback was very positive because Representative Breen shares the view of most of his constituents, who favor low-taxes and don’t want their tax dollars to be used to pay for abortions. Our goal is to educate people on what the candidates stand for on these issues. This Sunday morning after Mass, my parents and I caught Breen supporters stuffing misleading political flyers onto the windshields of cars parked in Catholic church parking lots. I think it is unconscionable for a politician to jeopardize our churches’ tax-exempt status by bringing partisan politics onto church property. Peter Breen owes an apology to our Diocese, to our churches, and to every parishioner whose Sunday morning mass was tainted by his attempt to pervert our faith into a political weapon. If you agree, please send an email to the bishop, at OfficeOfTheBishop@DioceseOfJoliet.org”Ms. Howard — a politician who wants to raise your taxes and then use those dollars to pay for abortions in Illinois — asked “Is nothing sacred?”. Our response is: Yes — Life, Liberty and the Pursuit of Happiness. And having an informed electorate. She also released a statement, to announce she wrote a letter to Bishop Conlon, of the Diocese of Joliet, calling on him to intervene. Ms. Howard — a politician who wants to raise your taxes and then use those dollars to pay for abortions in Illinois — asked “Is nothing sacred?”. Our response is: Yes — Life, Liberty and the Pursuit of Happiness. And having an informed electorate. The following letter was sent by ICE-PAC to Bishop Conlon, as a response to Howard’s letter to him and request Bishop Conlon to denounce these efforts, particularly at the Catholic parish that she belongs to in Glen Ellyn. I’m the Chair of Illinois Citizens for Ethics, a small political action committee. Last weekend, we leafleted cars in some church parking lots in your diocese with a comparison piece that respectfully presents the positions on several issues of two candidates for State Representative in district 48: State Representative Peter Breen and his opponent, Terra Costa Howard. I have attached the document for your reference. From her posting on Facebook, I see that Terra Costa Howard has urged her supporters to email you objecting to this and instructing you to tell Peter Breen to apologize. However, my organization drafted text, paid for printing, and recruited volunteers to distribute the flyer. We did this because Terra Costa Howard is a candidate with extreme anti-life positions that she is skillfully concealing from voters. In fact, she is endorsed by Personal PAC, the powerful and well-funded political action committee of the Illinois abortion industry. In order to obtain their endorsement, a candidate must pledge to oppose all common sense regulations on abortion and support public funding for abortion – that is, abortions basically for free, paid for by every taxpayer. Terra Costa Howard even has pledged to vote to repeal the Illinois Parental Notice of Abortion Act. Since this law took effect, abortions on minor girls have plummeted by thousands each year. This law protects a parent’s right to know and be able to help their children in a time of crisis. This law is also crucial for protecting minor girls from sexual predators who use secret abortions to conceal evidence of their crimes. Howard’s campaign has received almost $150,00 from Personal PAC, and over $600,000 from Michael Madigan. They’ve been using these funds to unfairly attack Breen, who is Catholic, on issues related to our faith, such as the sanctity of human life. 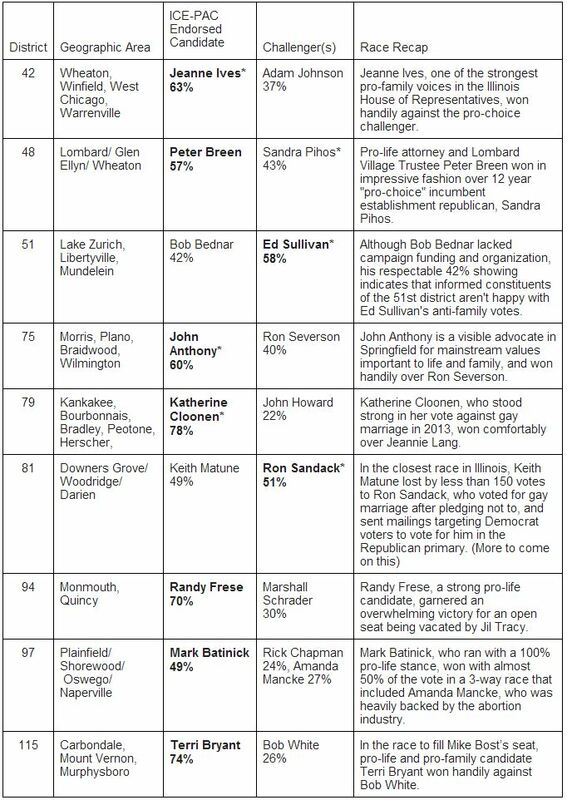 We’re a small PAC and several of us, myself included, are parishioners in the Diocese of Joliet and local to Breen’s area. We can’t compete with the money she’s receiving for TV ads and paid walkers going door to door, but we do believe voters deserve to know the truth about the candidates’ positions. Everything in the document we distributed is true. Peter Breen has served as a State Representative for four years with great integrity, and has been steadfast in his defense of the most vulnerable. His outstanding record has earned him the endorsements of the Chicago Tribune and the Chicago Sun-Times. We hope that our efforts to save innocent human lives and protect women from the grief of abortion did not offend you. Thank you for your service to our Church. To learn more about Peter Breen’s courageous work as a State Representative in support of family values, we encourage you to visit VoteBreen.com. We need your time and financial support to re-elect Peter Breen. Your support will help us educate voters in the 48th district regarding our shared family values.